Commander Wolffe au Commando Gregor? Who is your inayopendelewa villain that has been seen in nyota Wars Rebels? Who do wewe think Sabine will get together with in the future? mashabiki wanachagua: She'll probably stay single. What did wewe think about the season 3 trailer? do wewe think there will be extra episodes released for this onyesha like Clone wars had? is there any really good bonus features I should watch for this show? I know alot of wewe ship Kanan/Hera and Ezra/Sabine, and I need your honest opinion. Am I the only shabiki who ships Kanan/Sabine? au do at least some people ship Kanan/Sabine too? Kanan and Sabine were both walking to the cockpit when they bumped into each other. "Oh, I'm sorry." Sabine apologized. "Go ahead. Ladies first." Kanan replied. Sabine walked in front of him, and from there on, he couldn't take his eyes off her. As she took a seat, she noticed he was still staring. "Why are wewe looking at me like that?" she asked, pretending to be curious. "Um, sorry, I was...Y'know...Actually..." Kanan stuttered. Sabine laughed. She thought it was cute when he stuttered. Two days had passed since the attack on Lasan. Garazeb Orrelios sat head in his hands feeling a sadness that made him almost sick. Just hours before despite his injuries, he buried his parents under graves of debris from his family home. Each piece of stone felt like a stab into his broken heart. He lay between the graves and cried until there were no zaidi tears left, only a numbing sadness. All of a sudden Garazeb heard the sounds of a ship flying overhead. He thought the Empire was coming back and he grabbed his bo-rifle ready to kill anyone that approached. The smell of death and destruction hung over the ruins of the royal family of Lasan's palace. It had been less than a siku since a bomb went off destroying the building, part of the Empire's attack on the planet. Part of a stone ukuta moved and a bloodied and battered figure crawled out. It was a Lasat male, young and a member of the Honor Guard kwa the remnants of the armor and uniform that clung to his injured muscular frame. Coughing, the Lasat tried to stand and found out his left leg was broken. The inayofuata morning, Sabine walked to where the meza, jedwali was and sat down. Ahsoka noticed she was playing with her food. "Is Kanan on wewe mind again?" she asked. Ahsoka figured this out as soon as she joined The Rebels. "Yeah." Sabine answered, letting out a sad sigh. "Y'know, it's better to tell him than keep it a secret from him, even if he isn't interested." Ahsoka advised. "I know, but what if I tell him while he's involved with Hera?" Sabine asked. Ahsoka froze. Personality: Brave and bold, willing to challenge those who are stronger and taller than her. She loves to explore and fight though she tries not to use her lightsaber too often but only if needed. Selene was like her mother who could handle anything that was thrown at her. a poll iliongezwa: Commander Wolffe au Commando Gregor? a poll iliongezwa: Favourite Sabine Wren Hair? a poll iliongezwa: Were wewe happy to see Hondo come back? a poll iliongezwa: What was your inayopendelewa finale? a poll iliongezwa: What's the main reason you'll miss Rebels? 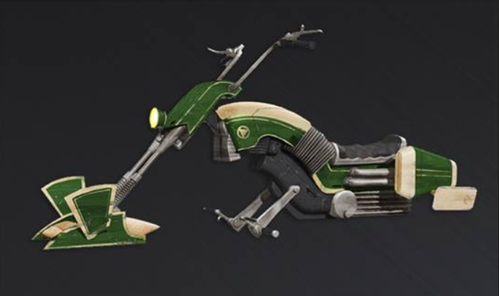 Whose speeder bike is this?